My photography class has ended, but now I am taking Sketching & Watercolor – Journal Style with Jane LaFazio so for the next few weeks, I’ll have some of that work to post here. 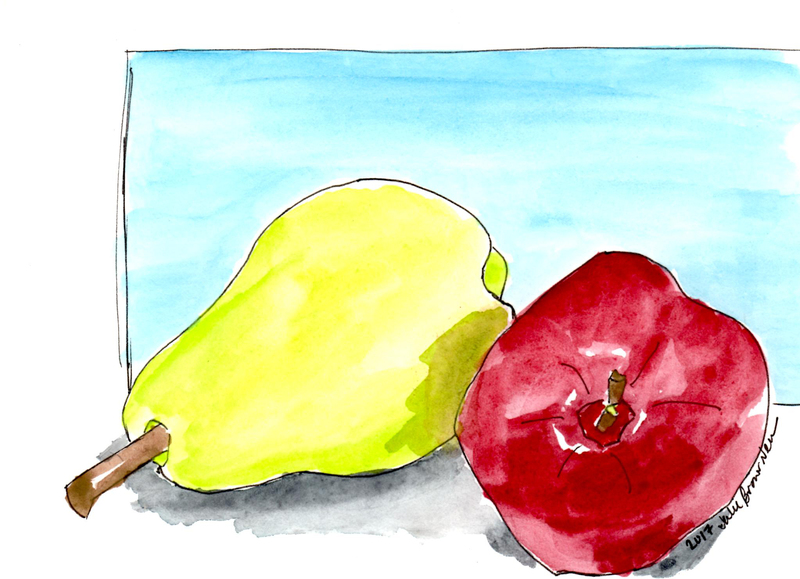 This week’s lesson was in drawing and painting fruit. What I did does actually look like fruit so mission accomplished! The colors scanned brighter than the are in the original (just in case you thought I had lost my mind using these day-glo colors).